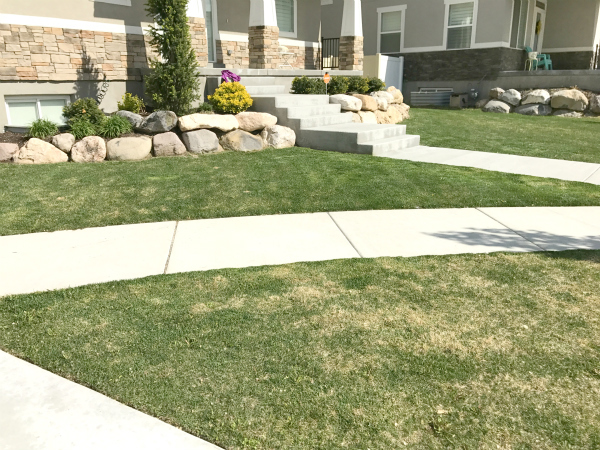 I started an insta-story on my lawn journey, thinking nobody would give a flyin-flip... but then was surprised to learn that not everyone thought it was the most boring topic in the entire world (like I probably would of). 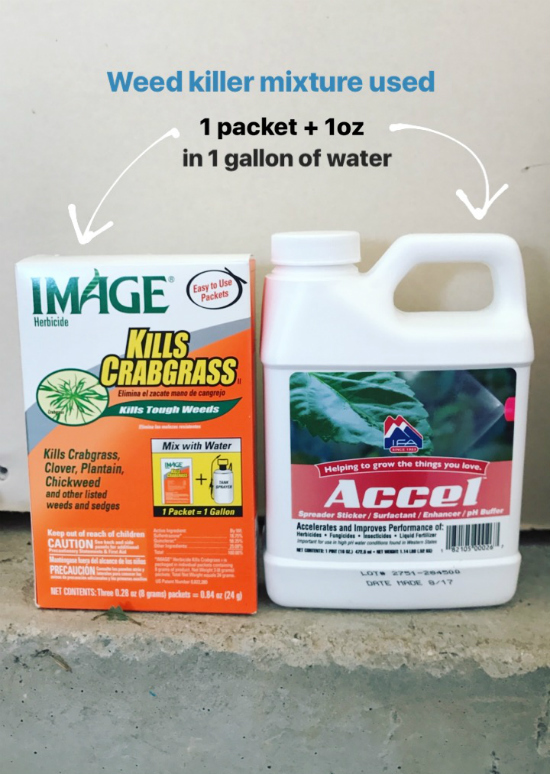 So... here ya go - all of my lawn knowledge in an easy to reference post. Turns out, yards are a lot of work. Also turns out... I hate getting sweaty, dirty and working outside in temperatures over 72 degrees. Oh! and bending over constantly is something I'm not a huge fan of either #weeds. Soooo as you can imagine, my yard was a challenge for me this Summer, but I was DETERMINED to keep it alive, thriving and green. Alright, here's how my lawn started out. Spotty, yellow-ish and just all around kinda sad. 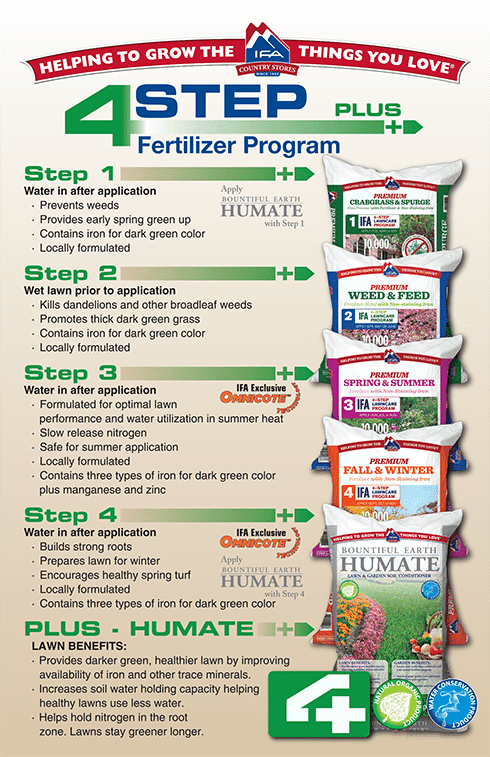 I'm not sure what everyone else uses, but here in Utah, we went with the IFA 4 step fertilizer program + Humate. It's idiot proof. The directions are on the bags and it literally gives you the step by step instructions on when and how to use each one. You can read more below. The left is before, and the right is after step 3 + Humate (two different applications). All was well, until about the end of August. I started noticing TONS of weeds in the grass😡. I tried pulling them, but they were multiplying faster than I could get to them, and were impossible to keep up on. 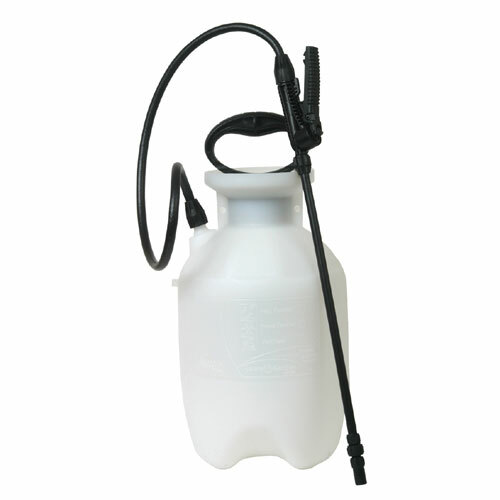 Image herbicide and this Accel from IFA mixed with a gallon of water in this sprayer. 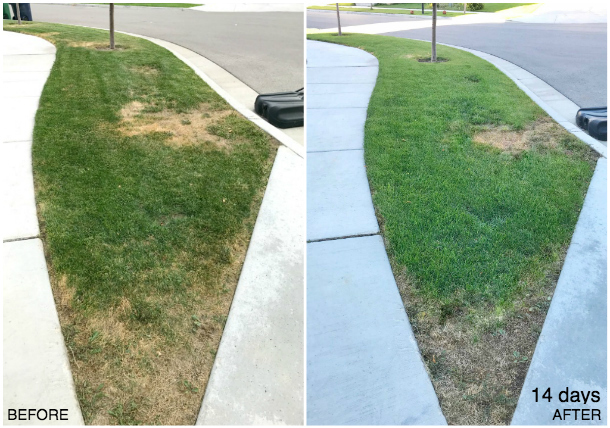 I spot treated the weeds in my yard, and then waited 48 hours to water or mow. I didn't notice anything happening for a few days, but then the weeds started shriveling up. And after about 10 days, this is what they looked like. That stuff WORKS yo! No more tall dandelions billowing over my pretty grass. So depressing - poor grass! It just started dying in spots, and it looked horrible! I was watering it so well, and taking such good care of it. But STILL, it got worse. 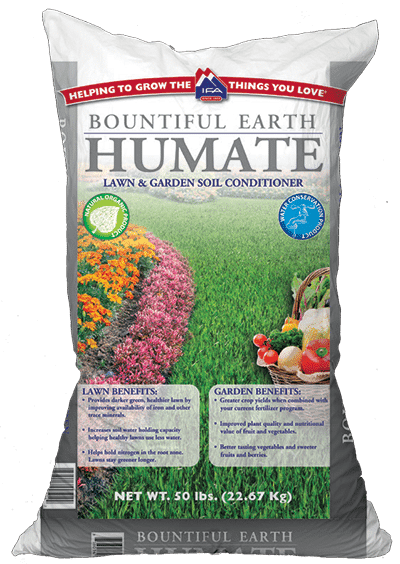 Naturally, the next step would be to put another bag of that amazing Humate down on it (that helps thicken and green up grass) which I did! But I was getting messages from people left and right, telling me that they thought I had Grubs! Okay, so they say that if you have grubs - a small white worm-ish thing that eats the root of the grass and kills it - that you can pull the yellow grass up, and if it comes up easily and/or you see white little wormy things... then you got you some grubs girrrrl. 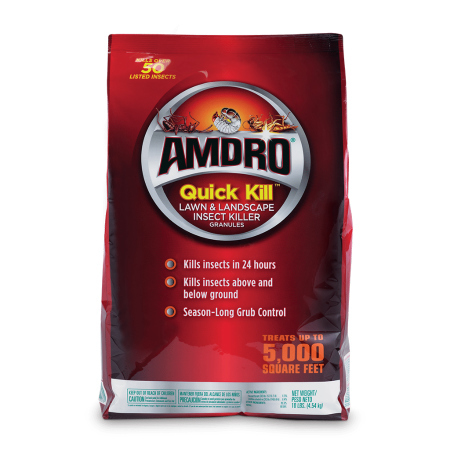 But here's the thing... like I said on my insta-story before, I don't go LOOKING for bugs🙅... so I spent the money on some grub killer instead (AMDRO), spread it around real good on all parts of my lawn, and my neighbors (who I connect with) and called it a day. But I'm not entirely sure there actually were any... so let's just say that there was, I killed them, and all is well now. With grub killer AND another bag of Humate, here we are now. Not perfect, but definitely getting much better! Less weeds and less yellow for SURE. So that's definitely a win. I'm thinking that I might need to reseed a few spots to get them to grow back properly... but we'll see. It's almost the end of September and it's getting chilly. That means it's about time for step 4 in my fertilization process... and I've never been so happy for snow to come in my entire life. Hopefully these product suggestions help someone else out who needs it. Anyone else have grass issues? Any magical tips or tricks? I am totally pinning this! We moved in last fall so this was our first summer figuring out our lawn and what it does. And turns out... it gets brown and nearly taken over by crab grass. 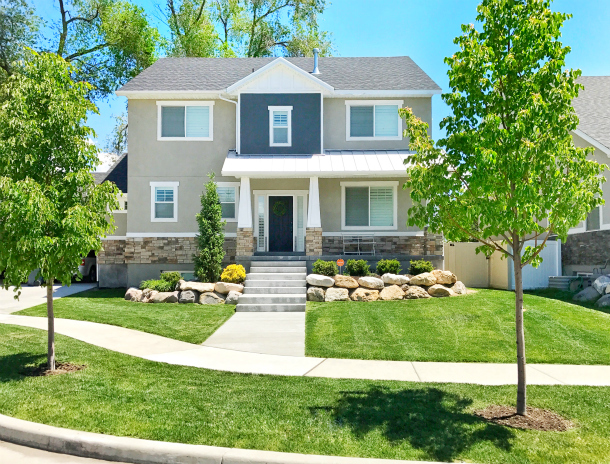 ;) I never thought I'd care about lawns so much but when you have a new home, you want the lawn to reflect how you feel about it: proud! Thanks for the tips. :) I'll plan to put them into action in the spring. Impressive! 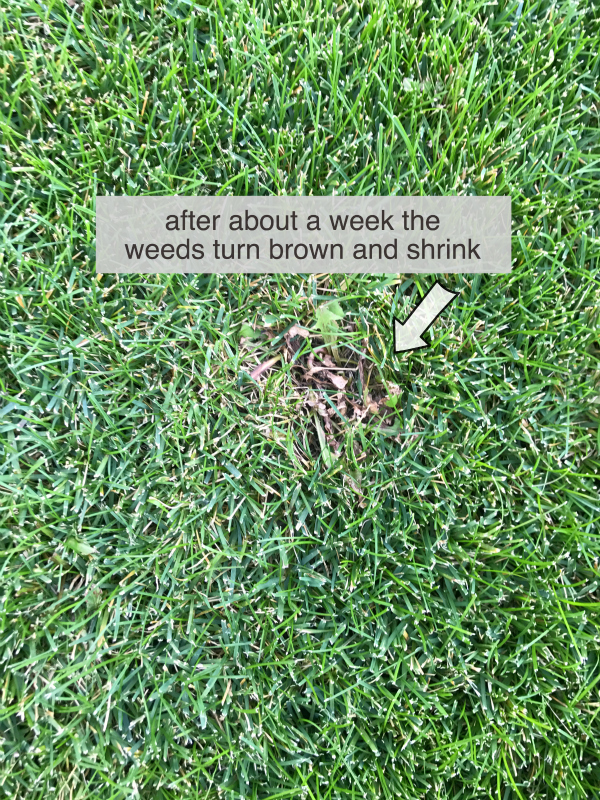 Good info - pinning 'cause I think my husband has given on taking care of our lawn, and we've got crabgrass everywhere. Looks like I'll be getting in touch with my local garden center. Thank you for sharing. I am saving this post. We need to do something about our yard. The weeds are just taking over. Oh how I feel your lawn woes!! 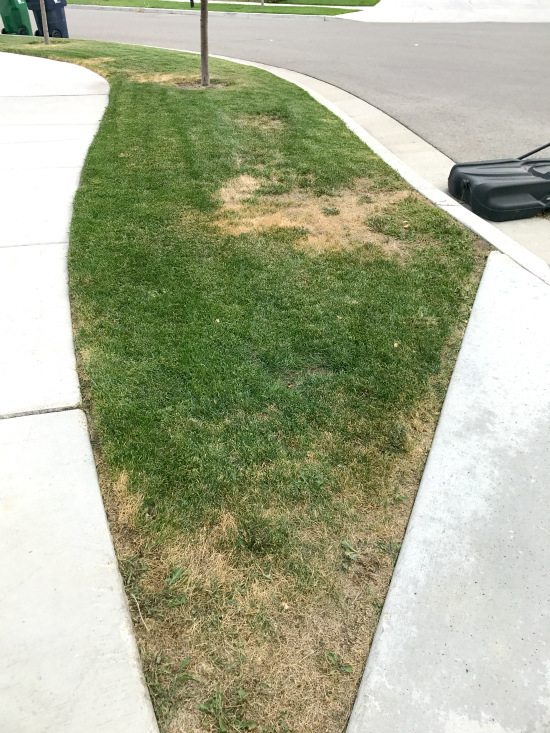 I had to put new sod in my yard after the county contractor destroyed my yard...another long story. Well all was going well until I noticed tan spots in my yard. Low and behold it was webworms! So far I have applied two treatments (spinosad) and no further tan spots. The other side of my yard had lots of weeds after drainage lines installed. Looks like more work in the lawn. Oh thank you, thank you!! This post is an answer to my prayers. Now what would you do if you had vols? That's not a typo, that's an animal that burrows in your grass. Looks like a mouse. 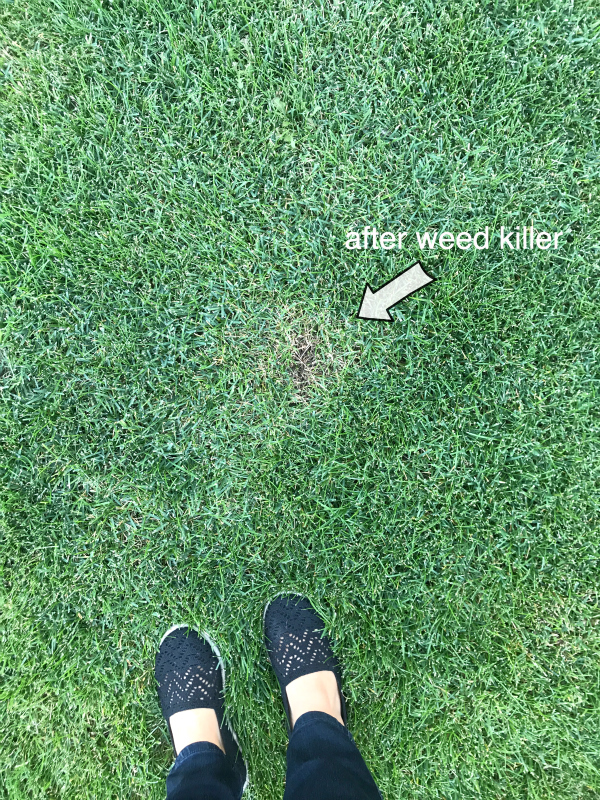 When we bought our house the inspector said it looked like our yard had vols, he said there were little poison pellets you can buy and stick down in the trail of dead grass that will kill them.